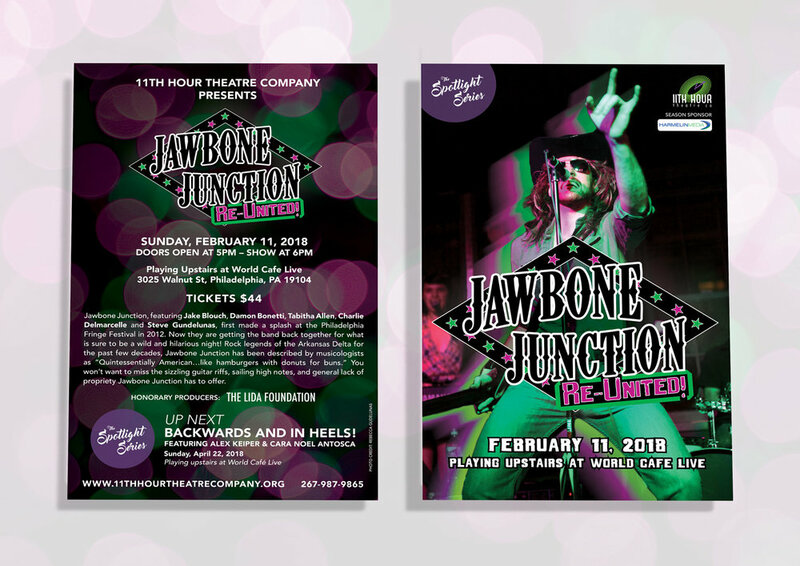 PRODUCTION BLURB: Jawbone Junction, featuring Jake Blouch, Damon Bonetti, Tabitha Allen, Charlie Delmarcelle and Steve Gundelunas, first made a splash at the Philadelphia Fringe Festival in 2012. Now they are getting the band back together for what is sure to be a wild and hilarious night! Rock legends of the Arkansas Delta for the past few decades, Jawbone Junction has been described by musicologists as “Quintessentially American…like hamburgers with donuts for buns.” You won’t want to miss the sizzling guitar riffs, sailing high notes, and general lack of propriety Jawbone Junction has to offer.